However, there is something that does help me in this regard and believe it or not; anyone and everyone can take advantage of that. Actually, it is an open secret which you may uncover just by thinking hard. Well, you have plenty of time to ponder upon as I shall reveal it in the next edition of this marvelous magazine. Let's get back to the topic of Intellectual Property, Patents, Copyrights and Trademarks. For the benefit of those who missed reading the June Edition and as a brief recap, let me just touch upon the essential keywords. Intellectual Property (IP) refers to the creations of mind; and Patents, Trademarks and Copyrights are the forms and methods devised to protect it. So, as the title beckons, what does a patent do? To answer in a single line, it provides the protection for the invention to the owner of the patent. The protection is for a limited period- usually for 20 years. It prevents others from using the invention without the permission of the owner. The owner may ask for benefits from the other party in exchange of allowing them to use the invention, which may be in terms of money i.e. royalty, or some kind of agreement. Upon discovering an unpermitted use of invention, the owner may drag the other party to court and can not only sue them for a hefty amount but also get the product-in-question banned. The most recent example of such a case is Apple winning the patent war about a design patent over Samsung and getting Galaxy tablet banned in US.Generally, people understand of the word invention as a new gadget - which is incorrect. In-vention refers to a novel device, method, composition or process. It may be alternate means of achieving something, or even an improvement upon a machine, mechanism or product. And yes, being able to drink through your nose or clap with your feet does not make you an inventor. These are talents, perhaps. Don't confuse them with inventions. Noticed that I have highlighted the word owner? You do need to know that the inventor may not be the owner of the invention. The inventor owns the invention by default but may cede the same to someone or an organization. 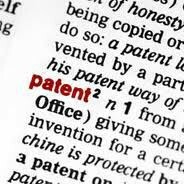 For example, in the above mentioned case of patent war, the cited invention would have been made by an existing or former employee of Apple or a firm they have taken over. That person is the inventor but the invention belongs to and is owned by Apple. In fact, I too, am the inventor for my inventions but not the owner. They are owned by Novell (now Attachmate) and Citrix. You must be thinking that why would anyone grant the ownership of his/her invention to some other person or company when it can make the person rich? The answer cannot be covered in one or two lines and I have already exceeded the word limit for this article. Therefore, both of us shall have to wait till the August edition for continuing this conversation.